If you say so, Danny! 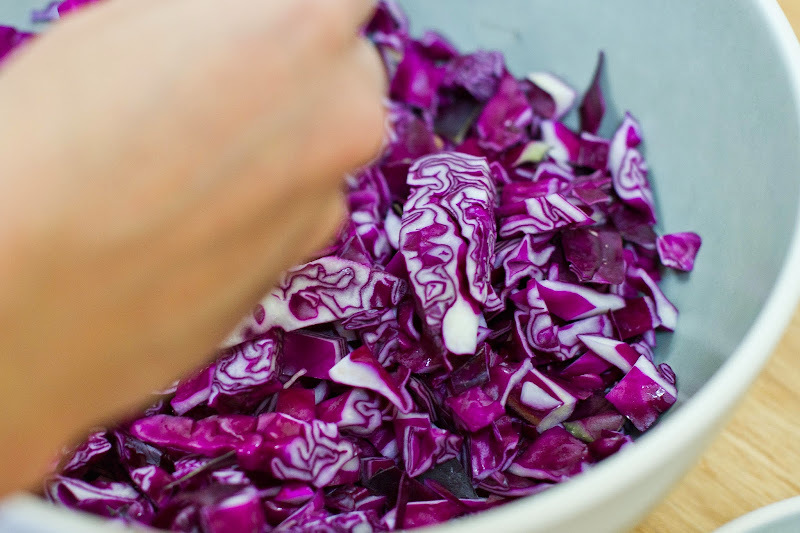 Cut cabbage in half, and remove core. Cut into 1-inch wedges and then into 1-inch pieces. Toss these lightly in a bowl, and set aside. Under running cold water, scrub beet with a vegetable brush or paper towel. Trim the beet top and beet root to provide a flat base for slicing on a mandoline. Set thickness to 1/8 inch, and slice beets into flat rounds. Toss the carrots into the bowl with the cabbage and season with half the lemon juice. Set aside. 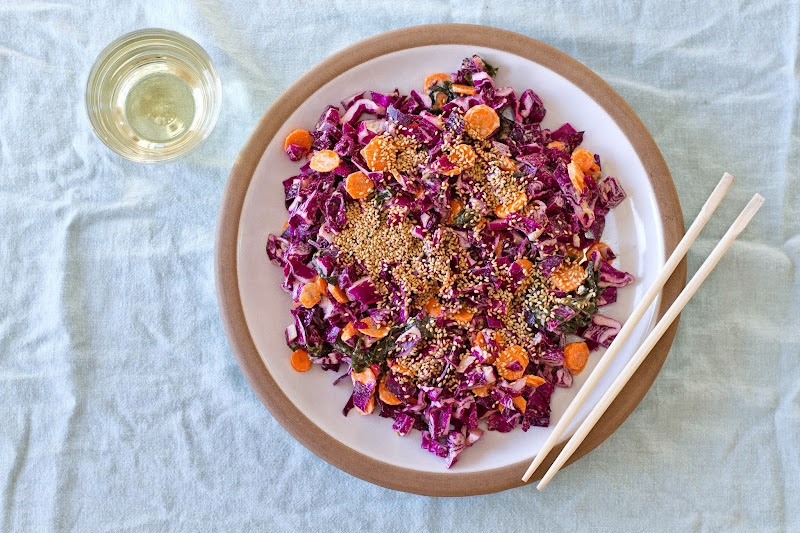 Make sesame-anchovy dressing. 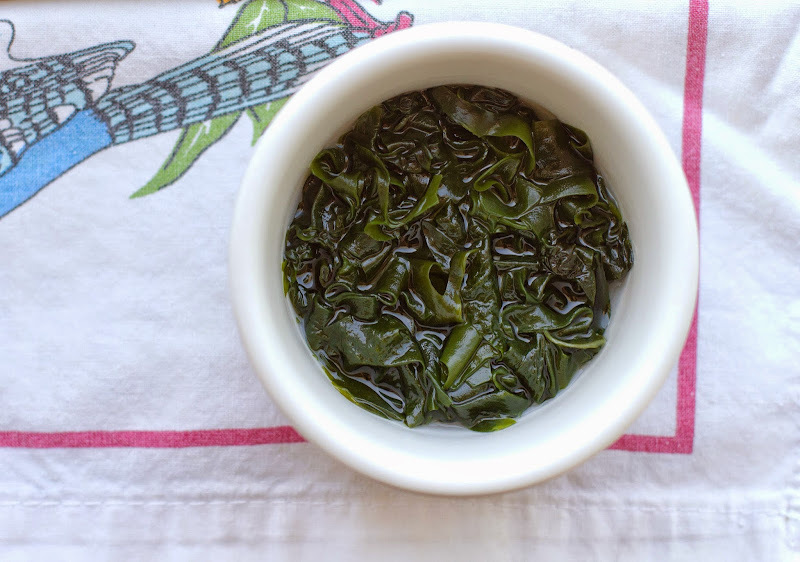 In a small bowl, cover hijiki wakame with warm tap water. Allow to bloom for 15 minutes, then drain well, and season with the red-wine vinegar. Add miso, tahini, rice vinegar, shiro shoyu, the remaining lemon juice and the anchovies, and whisk to combine. Dressing should have a thick, almost mayonnaise-like consistency. Make the kasha furikake. Pour neutral oil into a sauté pan, and place over medium-high heat until it begins to shimmer. 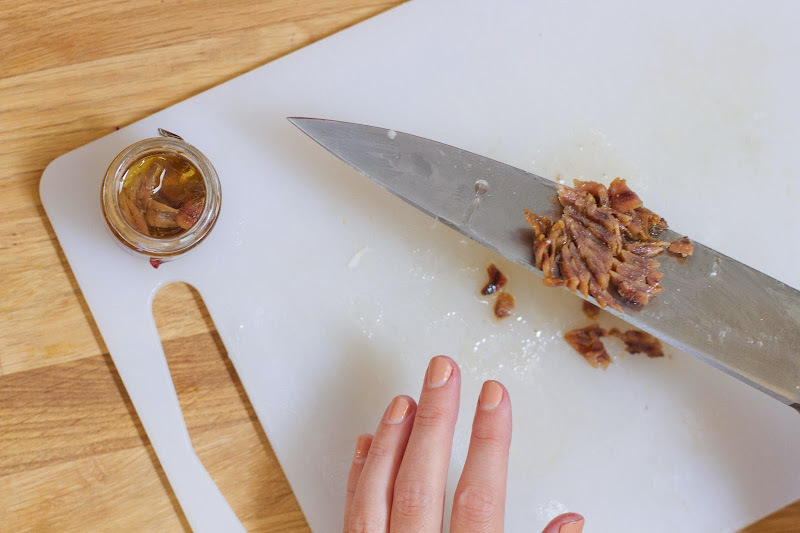 Pour kasha into the hot pan, and stir it quickly with a spoon to coat with oil. Allow kasha to fry in the oil, stirring constantly, until it has darkened by two shades of brown. Drain kasha through a fine strainer, and transfer to a plate covered by paper towel. While it is hot, season with the seaweed, which should adhere to the kasha. When it has cooled, mix kasha in a small bowl with the toasted sesame seeds and, if using, the shio kombu. Salt to taste. Make the salad. 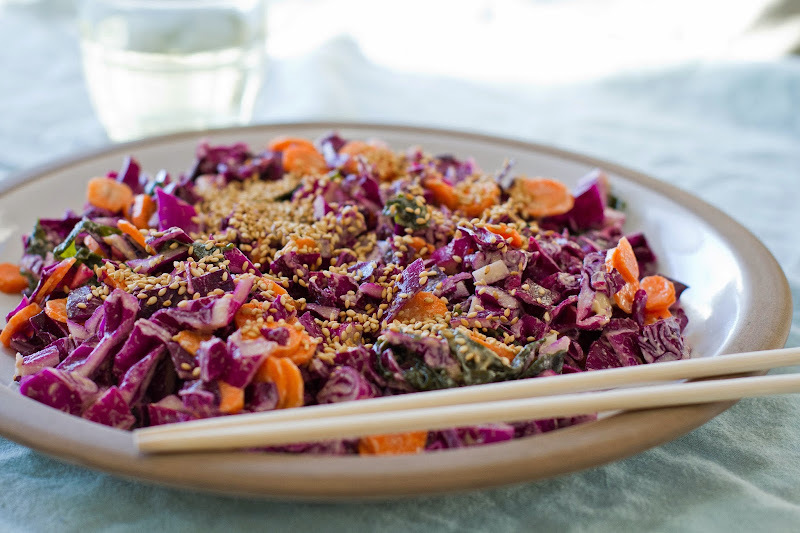 Add 3 tablespoons of the sesame-anchovy dressing to the bowl with the cabbage and the beets carrots, and mix well to combine. Add more dressing if necessary. 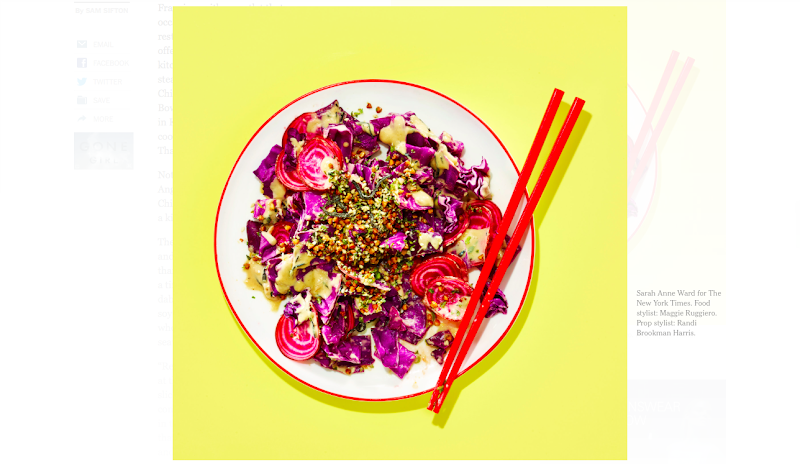 Transfer the salad to a serving bowl, and sprinkle 4 tablespoons or so of the kasha furikake over the top with lightly toasted sesame seeds. All I can say is: Danny was right. Despite all of the changes, this salad was so delicious. We served it with a couple of grilled boneless skinless chicken breasts I'd marinated in some rice vinegar, garlic, and shoyu, which without the accompanying salad, would have been pretty sad. Thx, Bill! Teddy couldn't get enough of this thing. Thanks Bill, this salad definitely has me intrigued. Oh and Teddy, you and your teeth are adorable! Yea! Thank you Bill! Also, Teddy is the cutest 2-toothed creature ever! Thanks, BILL! Also: this salad is super beautiful (as is Teddy). The salad is gorgeous! It is so good to be provided with permission from the writer of the recipe to skip ingredients, as needed. 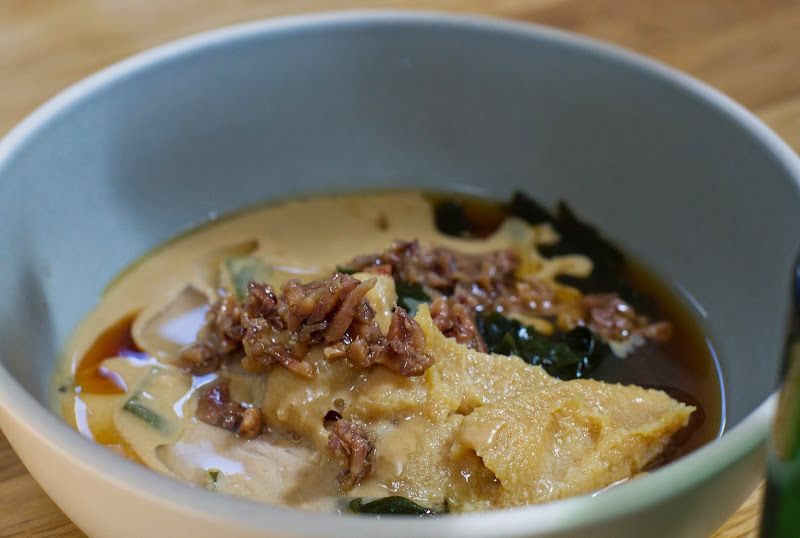 Here in Italy it is hard to find Asian ingredients (really any ingredient that is not super, traditional Italian) so I often skip recipes like this but I might just make a go at it. Oh man, the salad is so beautiful and still the Teddy picture is so welcome, you know?! 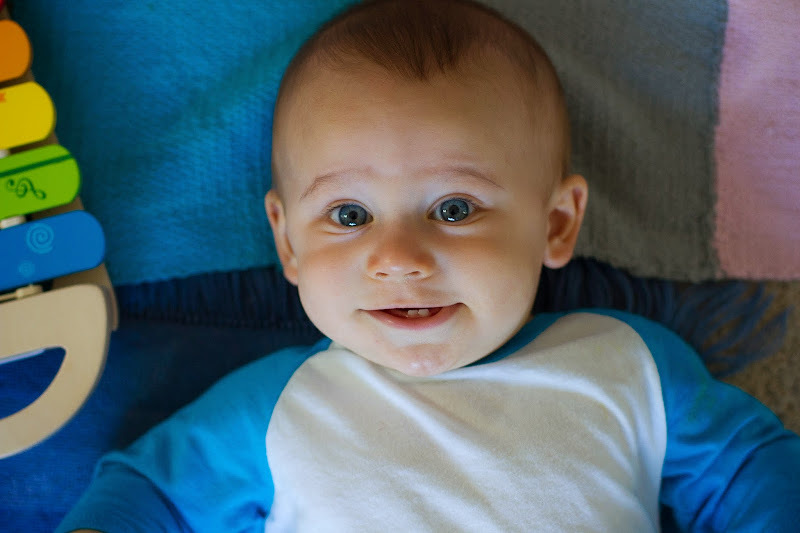 Like, at this point, there is nothing more radiant to me than drool on a smiling baby's face. Way to get that Teddy compliment in there! Scrolling down & seeing that face made me forget all about the salad. His photos always make me smile. Thanks.